The case pertains to alleged fraudulent withdrawal of Rs 89.27 lakh from Deoghar Treasury between 1991 and 1994. 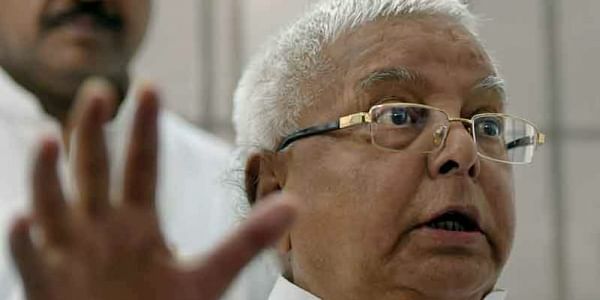 RANCHI: A special CBI court here will pronounce its judgement today around 3 pm in the fodder scam case in which former Bihar chief ministers Lalu Prasad Yadav and Jagannath Mishra along with 20 others are accused. "The court will pronounce the judgement at 3 pm," one of the Mishra's advocates said. Yadav, who arrived here yesterday accompanied by younger son Tejaswi Prasad told reporters today, "Ï have full faith in the judicial system." He faces three other cases related to the fodder scam. A charge sheet was filed against 38 persons on October 27, 1997. Eleven of them died and three turned approvers while two other accused confessed and were convicted in 2006-07, a CBI official said.